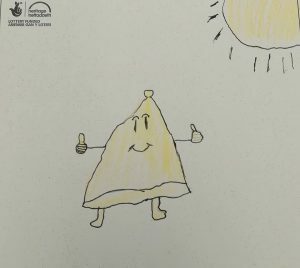 The winners of a competition to design a logo for the bells of Ruthin have been announced. 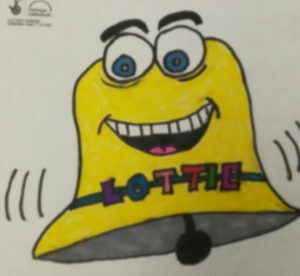 The Warden of Ruthin, the Revd Stuart Evans, said: “Congratulations to all the winners of our competition to design a logo for our Bells project. It was a pleasure to see the creativity among the young people of the town. We look forward to exhibiting the 120 entries at the Ruthin Craft Centre at the end of March. The bells were removed from St Peter’s in November and taken by lorry to Loughborough. A coach will leave Ruthin on 28 February to visit the foundry and look around the company’s workshop and museum. The restored bells are expected to return to Ruthin later in the Spring for a service of blessing. It’s likely to be the summer before the bells are heard across the town once again. Archives show that “a great bell” has been rung at St Peter’s since at least 1654 and by 1788 the church had a peal of six. These were replaced in 1843 and two new treble bells added in 1889, to make a peal of eight. By the 1970s rumours that the church spire was structurally unsafe, stopped the bells being run regularly. Until the bells were removed for restoration in November, only the curfew bell was rung weekly, a reminder of its role in the medieval period when the town’s gates were closed at 8pm.